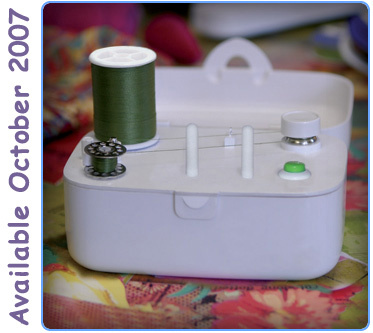 It’s easy to gather fabric with a zig zag stitch and some dental floss. 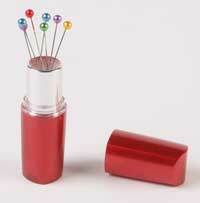 This is a great tip from Ann Stevens of BeSewStylish blog, and definately a keeper for your sewing tool box. 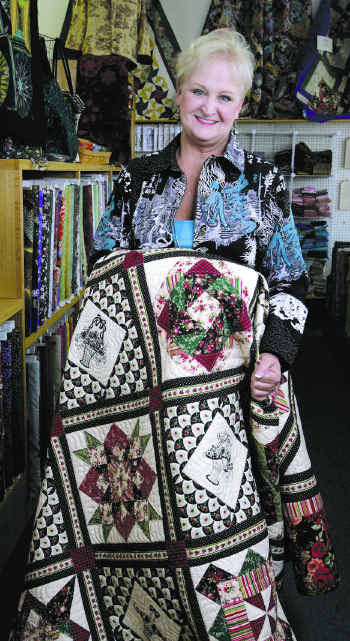 Bags, totes, and purses are all the rage amongst quilters. 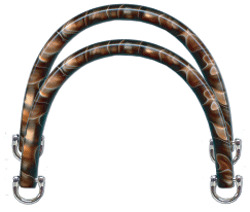 Fashion handles are a sophisticated addition to a wonderful quilted tote. Cool handles are available from tons of manufacturers. But how do you choose, and how are they attached? 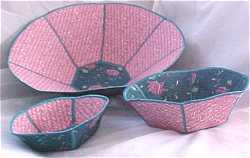 Debbie Colgrove, the Sewing editor at About.com, recently discovered the fun of the book ‘Fast, Fun & Easy Fabric Bowls’ by Linda Johansen. 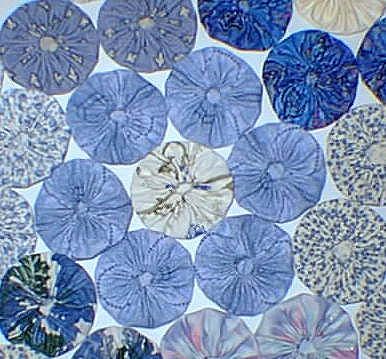 Turn your fabulous fabric scraps and a few embellishments into beautiful crazy quilted ornaments. 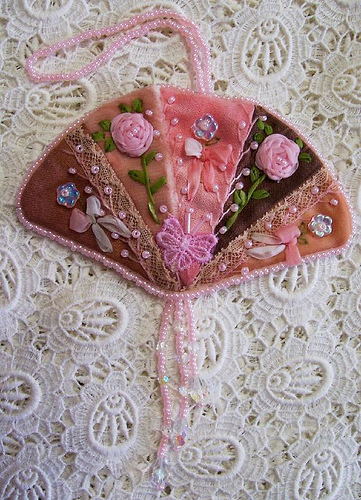 Sandie of Delightfully Crazy blog offers a really nice step-by-step tutorial here. Have you stumbled upon the website www.ehow.com yet? Oh my goodness, it has great info on just about everything. 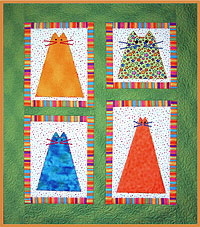 I was surfing around ehow and found this wonderful yo-yo quilt project by member bfeethree. I bet you have a fabulous piece of fabric that you can’t bear to cut into. 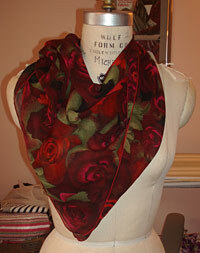 If so, consider making a scarf using Ann Steeves’Â wonderful and easy serger scarf project. 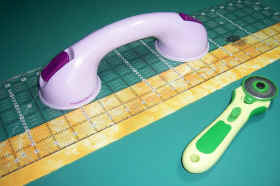 I love my quilting notions. And when a new one hits theÂ market, I want to be the first to know. 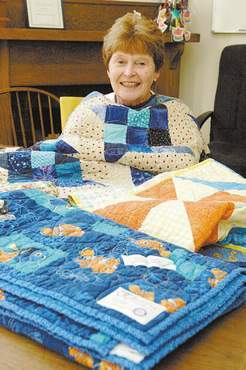 Quilters, get out your fiber, embellishments and thoughts of home. 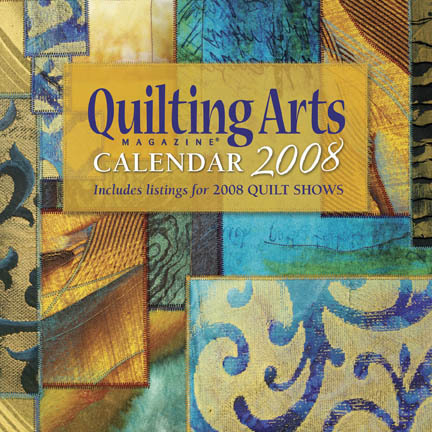 Quilting Arts Magazine is hosting their 2009 Calendar contest. And the theme is ‘Celebrating Home’. Famed artist and fabric designer Laurel Burch passed away last week. 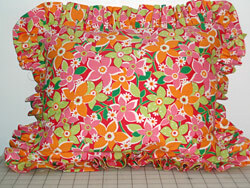 Ms. Burch’s vibrant, warm and endearing designs have been available to quilters on fabric for a number of years.